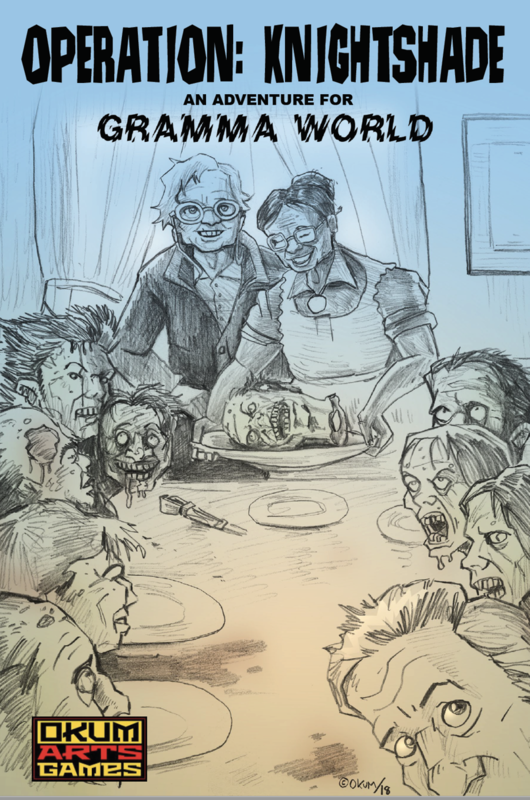 I wrote a S&W Whitebox inspired game called Gramma World because my friend put a typo in a message when he really wanted to play Gamma World. Instead, we rolled up Grammas and had a grand old time. OMG, this is awesome! I need to let Jim know about it... if he doesn't already. On a similar note, in a 2E game I was playing in our characters fought a white dragon and saved this NPC grandma but my character later froze to death. He only had 1hp and the DM said he died in the night (everyone took 1hp of freezing dmg). Just to show him, I insisted on making up the granma as a character. Granny "Knives" Knickerbocker was a retired thief who returned when duty called (and her sewing business destroyed by said dragon) to stop evil in the land. The Golden Girls with laser rifles? 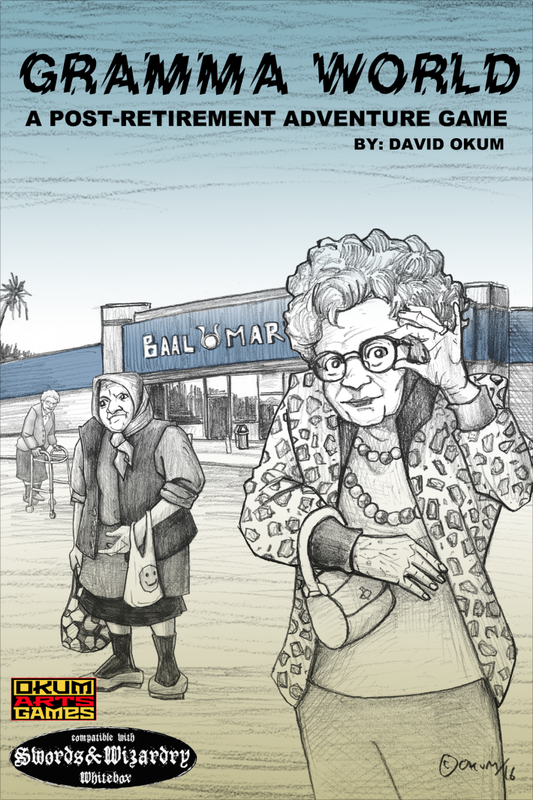 I put out an adventure for Gramma World as there seems to be some interest in the property after all. I should be putting out more support material in the next couple of months.